Dr. Edmond Prakash is a Professor and Head of Creative Technologies at the University of Westminster. Prior to that he was Professor in Computer Games Technology at the Bournemouth University, United Kingdom and Department of Computer Science and Technology at University of Bedfordshire. 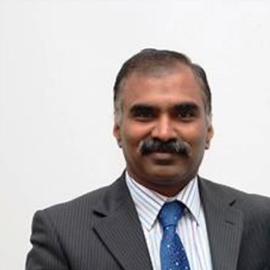 He has also held positions at Manchester Metropolitan University, United Kingdom; Nanyang Technological University, Singapore and Indian Institute of Science, Bangalore, India. He has also held visiting positions at the Pontificia Universidad Javeriana, Cali Colombia; State University of New York-Stony Brook, USA; University of Illinois at Urbana Champaign, USA; and Beijing Normal University, China. Edmond has over 150 publications in journals, conferences and monographs. He has also published 5 books. His research interests are in Games Technology, Games AI, Mobile Games, Mobile Apps, Facial Animation, Visual Computing, Volume Visualisation, Cloud Computing and High Performance Computing.